COLUMBUS, Miss. -- A U.S. Air Force training jet has crashed in northeast Mississippi with both pilots ejecting safely. Columbus Air Force Base officials say in a statement that the T-38C Talon II crashed about 8:30 a.m. Wednesday. The plane went down near Columbus Air Force Base, which is north of the city of Columbus. The pilots have been found and taken to a hospital to be evaluated. Local law enforcement and first responders are on the scene, CBS affiliate WCBI reports. 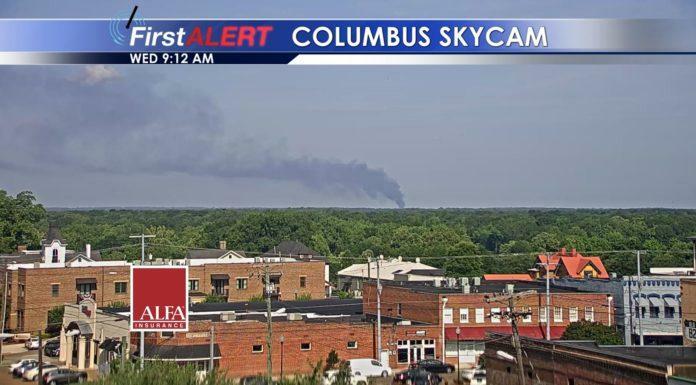 A plume of smoke was visible from downtown Columbus. The Air Force says there were no houses or other structures near the crash and that the fire has been put out. Columbus Air Force Base trains pilots on a variety of aircraft, with more advanced trainees learning on the T-38C. It is used for pilots learning to fly fighter and bomber aircraft.